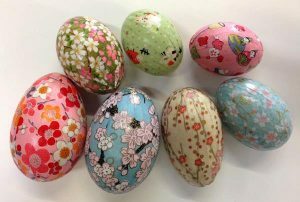 Create decorated eggs and other projects that are covered with beautifully printed Japanese Papers. No experience is needed and all materials will be provided for you. This class is fun, easy, and relaxing with short neck messages provided.